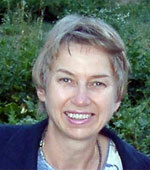 Born in 1948 in bilingual Biel (Bern), Yolanda Perren-Terzi worked as a nursery school teacher for several years. In 1973, she found her way to the Land of the Rising Sun. Back in Switzerland, she extended her knowledge of Japanese and worked as a tour guide. She has lived in Zermatt since 1995, where she spends her free time painting and has lovingly created this attractive and enchanting picture book. In it, she combines her love of children and nature with her creativity and great skill in drawing and painting. Annina is spending her summer holidays in the mountains. While out walking with her parents, she makes many exciting discoveries. When she comes across the funny little marmots, she is spellbound. In a dream, Annina returns to the world of these lovable furry animals, spending a whole year with them and learning about their fascinating life. 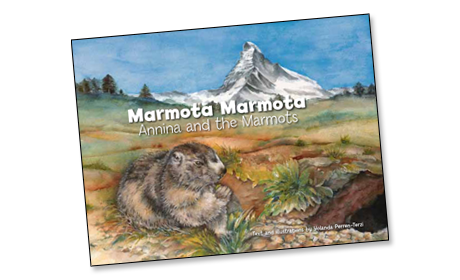 This beautiful and lovingly crafted children’s picture book faithfully portrays the marmots’ world in a way that is accessible to children. It is ideal for reading to and sharing with preschool children, for nature projects at nursery school or early primary school, and as reading material for children from the second or third reading levels.